In this edition, we highlight new initiatives at the Faculty and share stories from our vibrant community of staff, students and alumni. 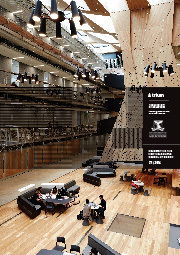 Welcome to Atrium – research, student and community news created especially for our global alumni network with our focus on the built environment. Presenting ideas and projects that are inspiring us here on campus, each issue is thought-provoking, asking questions about sustainability, our cities and who gets to enjoy great design. We also tell your stories and try to include a little piece of ‘home’ – our campus and community events. Whether you’re working in the built environments or other professions, Atrium is our way of keeping you in touch with new and young thinking in design. 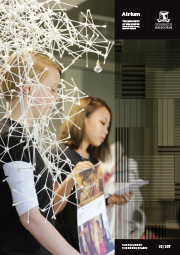 After completing a PHD at Melbourne School of Design, Kate Tregloan has recently returned to the faculty as associate professor of teaching and learning. Here, she shares insights from a career spanning practice, research and teaching. A group of 16 Melbourne School of Design masters students gained firsthand insights into planning practices in Asia Pacific cities through a study tour to Japan and South Korea in July. 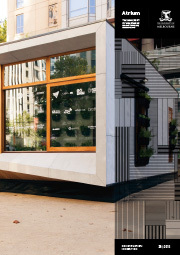 In February 2018 the Melbourne School of Design partnered with the Richstone group to develop a prototype for a flat-pack pre-fabricated wall system which includes complete plumbing fixtures. The partnership was funded under the Innovations Connections grant awarded by the Department of Industry, Innovation and Science. This July, Lauren Granek was one of 17 masters students who spent a week at the architecture biennale for the Venice traveling studio, led by Prof Alan Pert and Scott Woods. We are pleased to announce the formation of a new Faculty research hub to be called InfUr— with a focus on Informal Urbanism. What is informal urbanism and why does it matter? As an architecture student at Melbourne School of Design, Sarah Ball pictured working in a small firm focusing on residential projects. 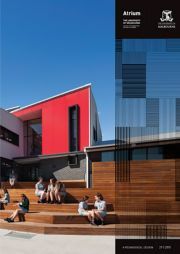 Now the Principal, Global Sector Leader – Education at Woods Bagot, she focuses on spaces that shape student experiences. Students returned to Melbourne School of Design this February to find a sleek, mirrored cube had emerged in the Andrew Kee King Fun Gallery. It forms the centrepiece of the school’s newest makerspace: the New Experimental Technology Lab (NExT Lab). High-rise Housing and Sustainable Development: Are we doing it right? The modern metropolitan cities of the world are a classic example of living systems. Like any other living system, these cities have life pouring through their veins in the form of road networks and other infrastructure systems. These systems inhale and exhale as people commute to work in the morning and back to their homes in the evening. 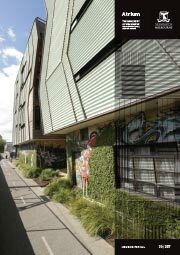 The Melbourne Housing Expo is part of a century old tradition of international building exhibitions that explore ideas about living, dwelling and building in cities and regions. It aims to affect lasting transformation of the everyday practices of housing provision through experiment and public engagement. 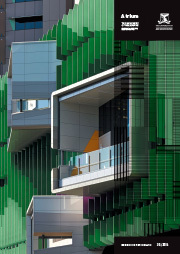 Thrive is a transdisciplinary research hub. 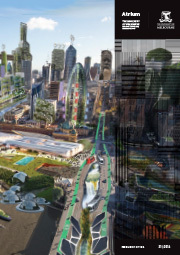 Our vision is that it must be possible to have a sustainable, thriving built environment for people and ecosystems. The hub uses applied industry-relevant research to create visible outcomes in the world. Globally entrapped in the “modern religion of development”, cities manifest a wide spectrum of housing issues reflecting their respective economic development stages and socio-cultural specificities. We like to keep abreast of what our talented alumni are up to. After all, the Faculty’s success is the stories of graduates who have gone on to forge inspirational and influential careers in the built and natural environment. If you want to share a project, achievement or profile, please get in touch. 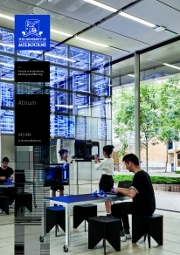 Atrium is produced twice a year and distributed to alumni, stakeholders, industry and friends. If you need to update your mailing address, just let us know.